Katharine Steer’s background covers both the practical and the creative. She has 13 years experience as an Office Manager in the financial sector, a Diploma in Person Centred Counselling and has also worked in local government helping vulnerable people. Katharine makes clocks and mosaics, writes for children and has a keen interest in local Sussex history and architecture. She has a rich understanding of how exhaustion impacts on people when life bowls the unexpected and how this can lead to feeling overwhelmed when it comes to our ‘stuff’. She believes that our environment can help or hinder the recovery process and detract from living life the way we long to. Katharine is passionate about clearing clutter as it creates the space to breathe and move forward to the next phase of life, often attracting new experiences to it. She loves helping others find freedom from their clutter and simplicity in their lives. 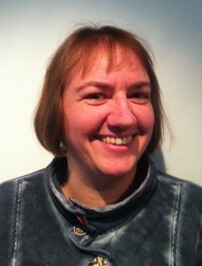 Katherine lives in Brighton and works in East Sussex and the surrounding areas.